Capt. William E. Simpson asked us to publish the following response to Laura Kay Snell’s article on issue of wild horse grazing wildfire. When we consider all the data about wildfire and megafire, it’s clear there is a growing trend of increasing catastrophic deforestation via wildfire. And these new-breed of extraordinarily hot wildfires are without any doubt caused by inept forest and resource management by some so-called managers and advisors. Many wildfires today grow so large they are called ‘megafires’. We are also seeing that wildfires are re-burning some areas a year or two later after the first devastation, which further degrades watersheds and fisheries which is a result of depleted populations of large herbivores, which under the conditions of a balanced ecosystem, consume enough of the grasses and brush to limit the frequency and severity of these fires, thus protecting the forests to a greater degree. Examples of large areas being re-burned within a couple years are Six Rivers National and Klamath Nation Forests in Siskiyou County, which burned in 2014 and are burning again (2017) due to fire that was kindled by prodigious grasses and brush which filled-in after the loss of the forest. Given the depleted cervid (deer-elk) populations in many areas, including California and in light of what wild horses can do naturally (a native species in north America) in the abatement of the genesis fire fuels (kindling; grasses and brush), and do so virtually for free, it’s just insanity not to immediately to deploy them from the BLM holding pens. And in the process immediately save the Bureau of Land Management (BLM) at least $60-Million annually, funds that can be re-apportioned for wildfire prevention using mechanized methods where permissible. The initiative contemplated by this enterprise is called Wild Horse Fire Brigade (‘WHFB’). However valuable to the forests, watersheds, fisheries, wildlife, homes and lives that the Wild Horse Fire Brigade initiative may be, there are those individuals who for political, ego and small-minded economic reasons are now disparaging the initiative, and have engaged people who use their affiliation with schools as means to garner trust, when they are being intellectually dishonest. Wild Horse Fire Brigade (‘WHFB’) is now supported by tens of thousands of people, some government officials and radio talk show hosts Lars Larson and Bill Meyer, which is what seems to be worrying these relatively few people. Managing the people’s public resources with an ‘earth is flat’ learning-curve hurts & costs taxpayers dearly! This may lead to a class-action lawsuit… and there is liability for those who now should be brought into account. What is happening in our forests is mostly preventable, intolerable, and is bankrupting the USFS fire prevention budget by fighting fires (‘suppression’) that are more frequent and severe as a result of lousy management by a relatively few people. And because WHFB has some traction, some obtuse and intellectually dishonest people are now so desperate that are trying to convince others that; ‘wild horses won’t eat old dry grass and brush’ (according to: Laura Kay Snell). In fact, out of their desperation, they are even trying to convince people that ‘wild horses grazing can increase the risk for wildfire’! And if the hunting industry wasn’t a $10-billion dollar annual industry with a hugely powerful lobby, they’d be saying that deer and elk also cause wildfires by grazing! It’s academic insanity; say or do whatever is needed to get funded. My background in applying science from my years at Oregon State has been employed successfully in the real-world commercially where the money is hard earned. 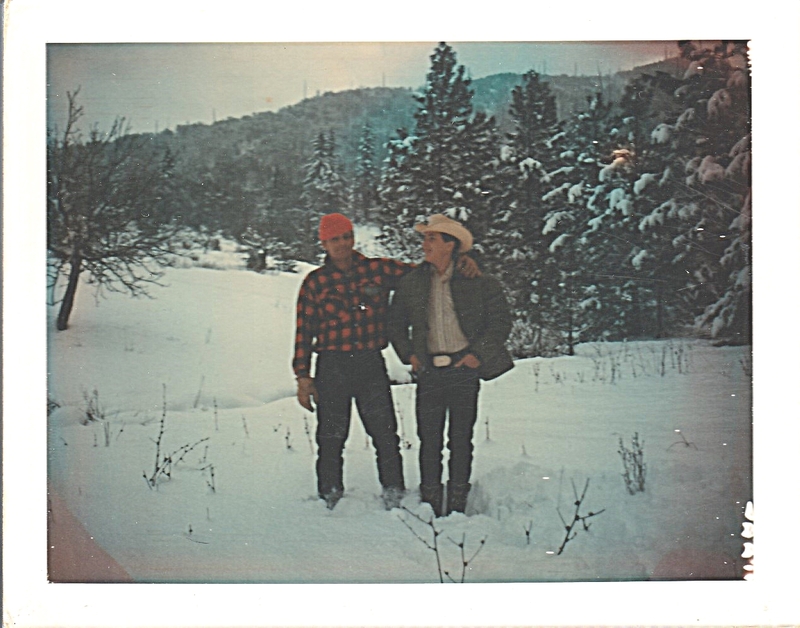 But maybe more importantly is my background of having grown-up on a working ranch in the mountains of So. Oregon (where we made a living with cattle, sheep, pigs and chickens) in the 1960’s, probably before she was born and certainly while she was still burping-up pablum, as she still seems to be doing these days. By my sixteenth birthday, I had already taken numerous blue ribbons for my Polled Hereford steers at the Josephine County Fair, and my FFA project as a ‘green-hand’, which at the time was cutting-edge, was a commercial trout pond, which I designed, built and stocked. My Mom kept my Star green-hand award pin until the day she passed, and I have it to this day. Running sheep and cattle (using horses and dogs, not quads) on the ranch involved careful rotational use and understanding of the carrying capacity of our limited pasture lands. Book learning and field trips only gets you so far, regardless of the inevitable paper wall-hangers (which I too have several of). There is no substitute for ‘living’ what others merely read-about, or have seen on field trips. And in my later years, the experiences continued to add-up… logging, running commercial fishing, passenger and expedition sailing ships, commercial aviation (flying instrument fixed-wing aircraft and helicopters), and numerous private business enterprises, including as the architect of the world’s first e-commerce algorithm for online greeting cards, for which I was awarded a U.S. Patent, among other patents for aerodynamic and hydraulic devices. My knowledge and experience is not compartmentalized, and that provides an overview that supports innovation, as history clearly demonstrates. Today, approaching my 66th birthday, my life experiences now includes 4-years of living among wild horses that range on and around our family’s 950 acres. This means virtually 365-days a year, rain, sun, wind and snow, with tens of thousands of 24-7 interactions and observations, including documenting the depredation of wild horses via apex predators. My wife and I average 4-hours a day observing the horses at close range in the local ecosystem, and even that conservative estimate amounts to many thousands of hours of behavioral observations on-site in the ecosystem, in-person (not via a book or through the lens of a game camera, or the occasional field trip, etc.). And sure, like most folks today we have several hi-res. game cameras scattered about our ranch and every time I check those there are ‘thousands of pictures’ of wild horses and other wildlife, so what? So as far as my knowledge of wild horses on the range, Ms. Snell can’t hold a candle to what my wife and I have seen and know about them and their mutualisms within the local ecosystem. Of course even though I have acquired a comprehensive overview, I don’t pretend to have all the answers, so I also continue to delve into the academic side of wild horse and forest management (since we also own forest lands in addition to native pastures). 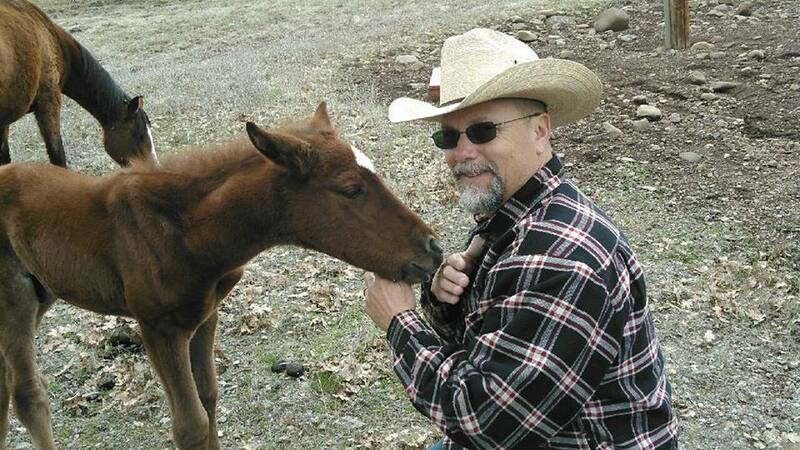 In addition to being a published author, I have over 100 researched articles that have been published across the Internet, and many on wild horses, wildlife and forest management. Nevertheless, I continue to seek even more information from leading scientists for my work, my writing and to continue my personal quest for knowledge. I spend hours each week on telephone calls consulting with many of the world’s leading scientists (PhDs) in the fields related to the issues at hand, in addition to all of the aforementioned. Wild horses utilize coarse, old-growth forage. They are like lawn mowers. They take off the top growth — the dry, unpalatable layer. This grazing method enables the plants to put down deeper roots, and it prevents weeds from maturing to produce seeds. Grasses are encouraged by the horses’ frequent “mowing.” In addition, the fuel-load is reduced, helping to prevent wildfires. Livestock, in contrast, prefer tender new growth. Hanselka and colleagues (2002) found that cattle will even return to patches previously grazed — not rested — to get at that new growth. Thus, by consuming the old growth and making the new growth available, wild horses make conditions better for the range and better for livestock. Some species thought to compete actually facilitate one another’s well-being. Stachowicz (2001) found that such species interact positively and reduce physical stress. They are commensals — animals that eat “at the same table” but without competing. Such is the case for equids and bovids. Counter-intuitive but true, research by Odadi and colleagues (2011) demonstrated that cattle gain more weight — 60% more — when grazed with equids. Consequently, a misguided, anti-horse bias will work against the economic interests of cattlemen. Wild Horse Fire Brigade: With wildfires raging across the West, now is the time to deploy a free resource — wild horses — to protect other resources — rangelands and forests and, ultimately, lives and property. Time is of the essence. Bring on The Brigade! ← Walden: Enough Smoke. Enough Fires.